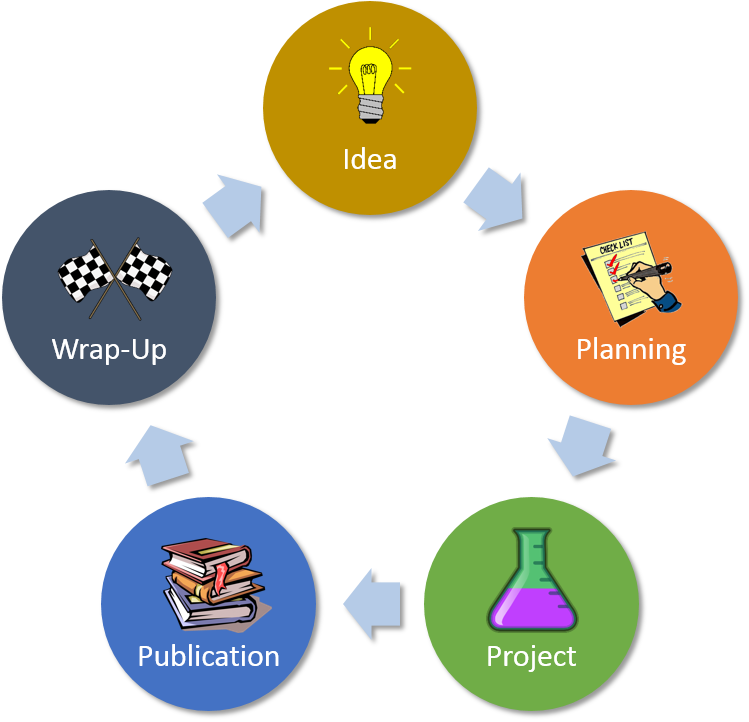 The research lifecycle provides an overview of the entire research process, from planning to wrap up. This guide helps you to understand research policies and procedures and points you to a range of campus support services to help you navigate the challenges of planning, conducting, and disseminating research, whether it be for your research projects or the development of business cases. If you have any questions please contact Justine Wheeler or the Business Library.